I saw a re-staging of PETA‘s RATED:PG yesterday. A review is forthcoming due to the issues that I saw staged, as well as some experiential moments, good or otherwise, that needs to be talked about. 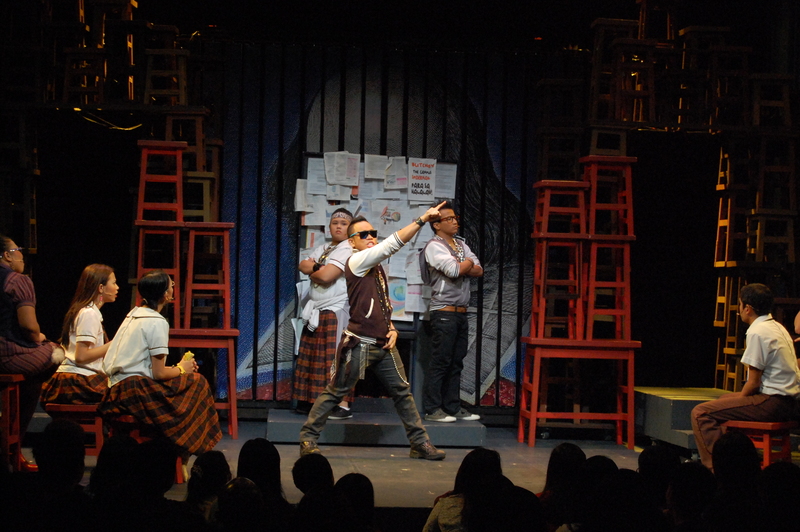 For now, I am re-posting my review of PETA’s William for The Shakespeare Standard. I am currently the Associate Editor for Voices of the said site. Contradictions. What can you expect when you merge street music and Shakespeare? Do you even consider it? What I discover is that there are gems in contradictions. My friend (Cyrus) and I should know. We arrived in style (so to speak)–a rusty tricycle ride to a clean, white and elegant facade of PETA Theater in New Manila, filled with nice cars no less. But no matter, the adventure of contradictions thus began. William, a play that was much reported and written about is an exciting revelation. Shakespeare has been done so many times, in innumerable ways, that it is rare to be surprised by just another interpretation. But that’s just it,William, is not just another interpretation. Rap, hip-hop and flip-top are the dominating forms, but these are seamlessly combined with Shakespearean plots, that an unaware audience might not notice. This is a gem for the Bard’s fans, as the stories and references unfold right before their eyes. William spoke, both to the high schoolers that needed a Shakespeare 101 and to Shakespeare aficionados in the audience; no one was left out, there is something for everyone. 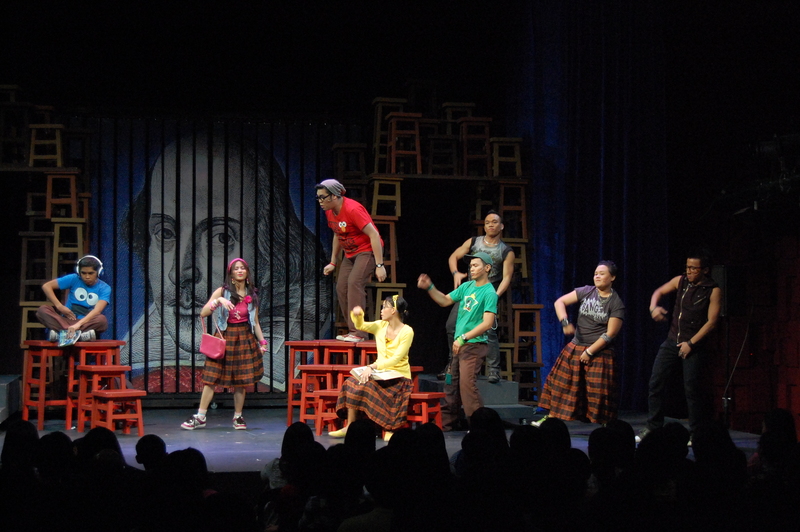 Filipino life and Shakespeare? Yes, definitely. William, both the bard and PETA’S play is anything but predictable. Who would have expected that Shylock’s monologue from The Merchant of Venice, could help express the sentiments of Richard Austria, a gay teenager who is newly “out” in society? Or that Claudius’ guilt from Hamlet would translate into the jock, TJ Domingo’s guilt for “outing” his friend Richard and his sufferings from his abusive father? Another surprise is the appropriation of Marc Anthony‘s famous speech for the campaign of the push-over nerd, Erwin Castro, as he also tries to redeem is gay friend Richard. 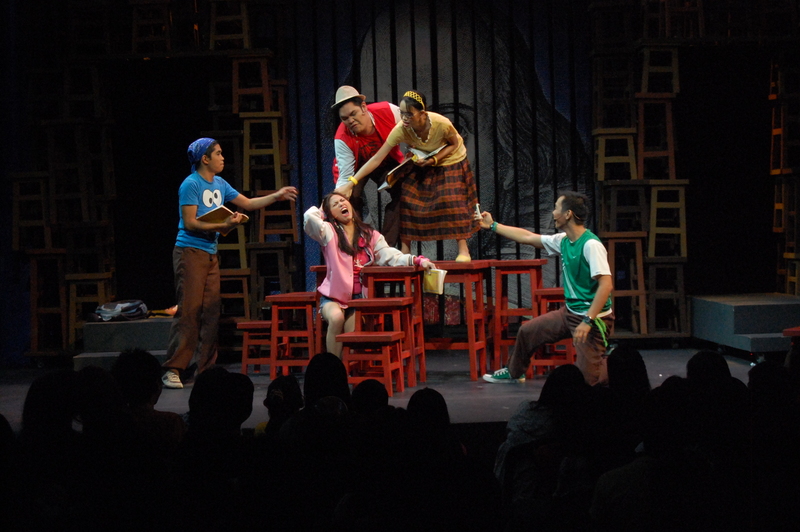 Famous monologues from famous plays appropriated in unique ways to reflect issues from the Filipino teenage life. Easy to miss but jewels when you catch them are plot references from Shakespeare’s famous plays. The main love plot is very reminiscent of A Midsummer Night’s Dream as two pairs of couples find each other through the help of fate. The play also ended in a party, A Midsummer Night’s Prom that tied down the play neatly, as well as reflecting teenage life. Everyone ended up with their respective partners in the end. Also, the play will not be perfect without its mean, yet lovable, hip-hopping villains. Again, easy to miss, is its reference to the the three witches of Macbeth. 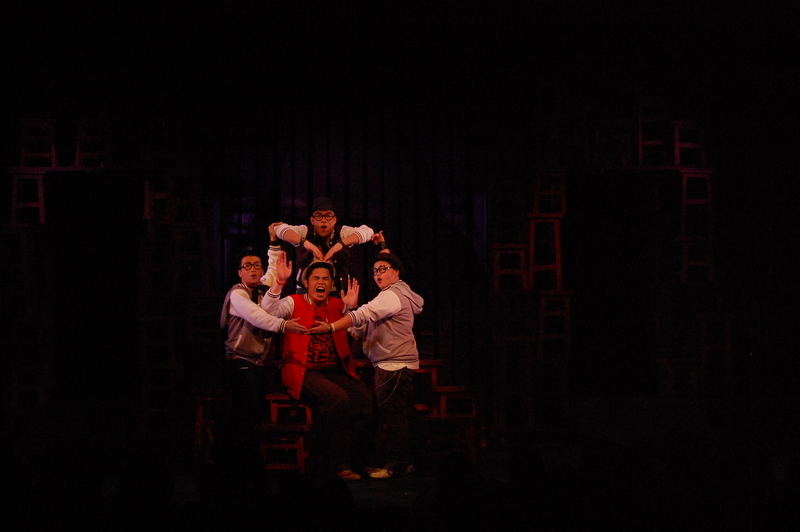 Bugoy, Buchoy and Strawberry are the villains that would tie-up or open-up a scene with their hip-hop and flip-top. These three love making fun out of everyone, especially of the nerd, Erwin and the newly-”out” gay, Richard. One memorable song is a hip-hop rendition of What’s in a name? 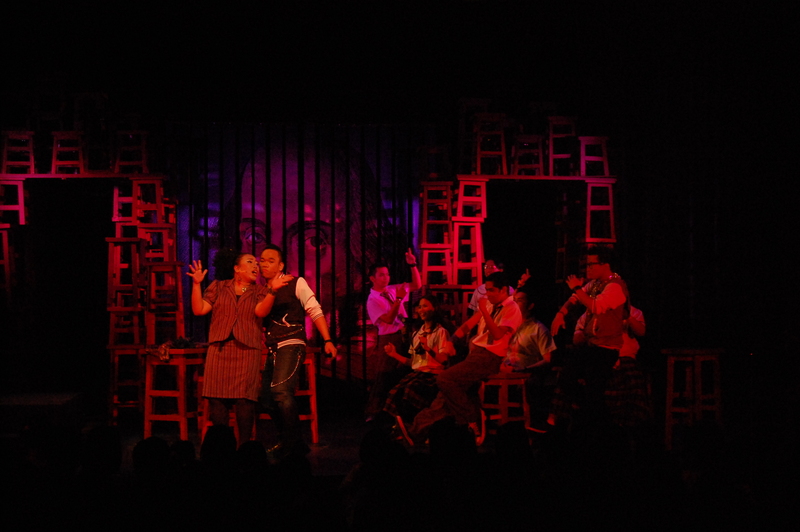 Instead of the typical love story of Romeo and Juliet, the play focused on Juliet alone, and not in finding romance. Instead, Juliet finds herself, independent of any Romeo. Sophia Reyes, the Juliet of the group, started out as a nouveau riche, love struck teenager. She grew up and grew to love herself, embracing her romantic Juliet but going beyond the romance and reaching a transformed independent Juliet, who loves her own name, her heritage and even her countryside accent. William, surprisingly, for a play meant for high students, also delivers a very strong position against gender discrimination. Though set in high school, without any overt sexual connotations, the play dealt with gender positions, again, very reminiscent of the Bard’s style. Mentioned before are the frustrations of Richard in a high school setting as he is bullied by his classmates because of his gender. The usage of some Shakespearean characters, though could be a bit anti-lesbian on some parts, still challenges traditional gender roles of society, just as the Bard did in his own time. Portia’s cross-dressing to defend Basanio from Shylock in The Merchant of Venice as well as Viola’s story in Twelfth Night were referenced as the characters look into their own gender positions. Though the term lesbian was thrown about in a bit unflattering tone, the basic message against gender discrimination cannot be missed. The role of Shakespeare in education is very important for everyone. The very core of the play is education, and educate it does. 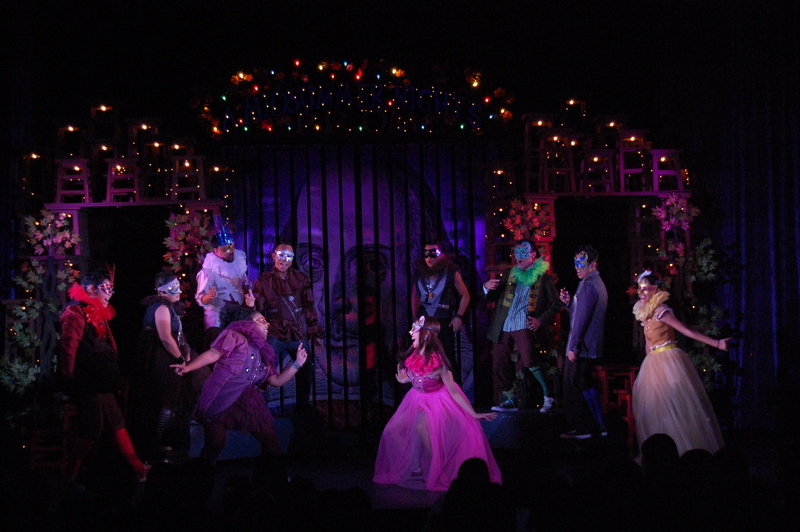 Ms. Martinez, the weird and theatrical teacher struggles to bring Shakespeare to her students. From the boring and incomprehensible iambic pentameter, she shows her audience how Shakespeare can be made relevant to everyday life. 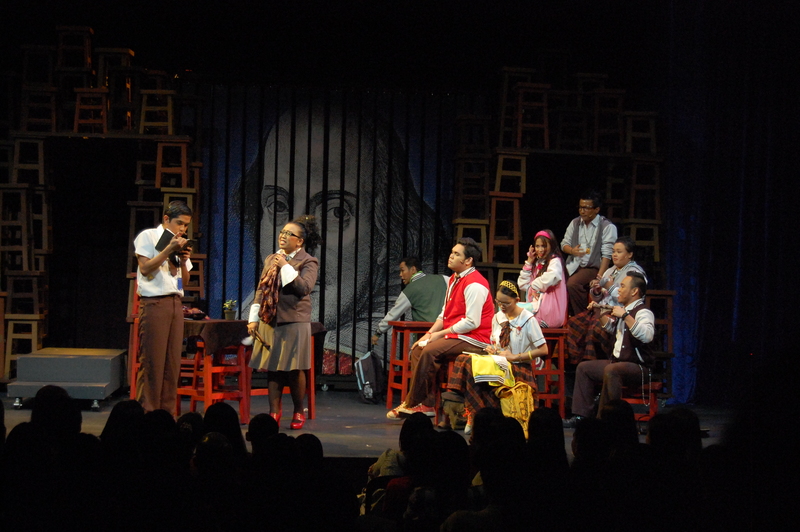 The play itself shows how valuable Shakespeare can be in the analysis of Filipino life. The Bard, crosses language and nation as his works are interpreted and made relevant to everyday life. At the end, everyone is infected with “Shakespearitis” and every event in their life is referenced to the Bard’s work. Its an eye-opening transformation for everyone. It is a rare event, that I can experience laughter and cheers in a small, intimate theatre, filled with high school students and a few adults and aficionados. The audience, clapped and reacted at almost every scene. They gave a number of “awww”s for romantic moments and even dead silence during the heavy monologues. The applause in the finale must have been heart-warming for everyone, especially coming from students that rarely reads Shakespeare in the contemporary technological world. Transformation. As the background changes into a pop-art version of Shakespeare’s portrait, the finale wraps up William in another hip-hop song. 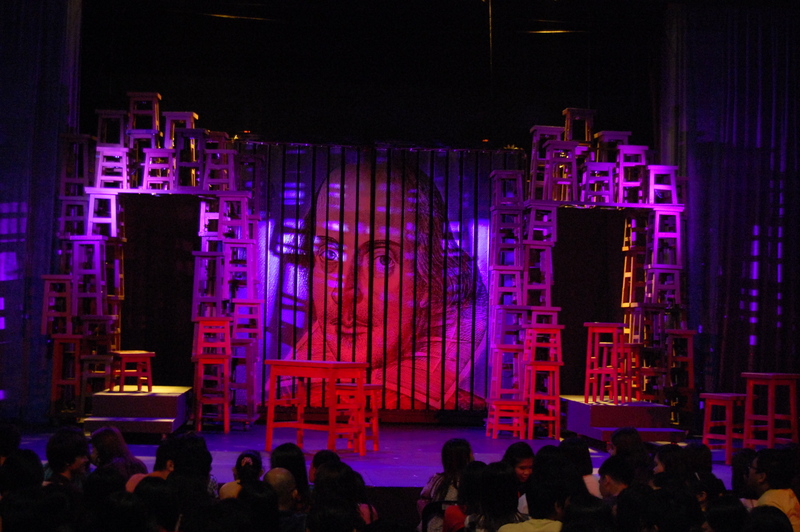 Mostly, in the Filipino language, it expresses the relevance of the Bard in everyday life, and how much the youth of today can still learn from him. The Shakespearean topic has not been exhausted, even after all this time. PETA’s William is a proof of that. Shakespeare is relevant to students, teachers, theatre fans and practically everyone. If you look close enough, you can find William in your everyday life and, yourself, reminiscent of Shakespearean characters. 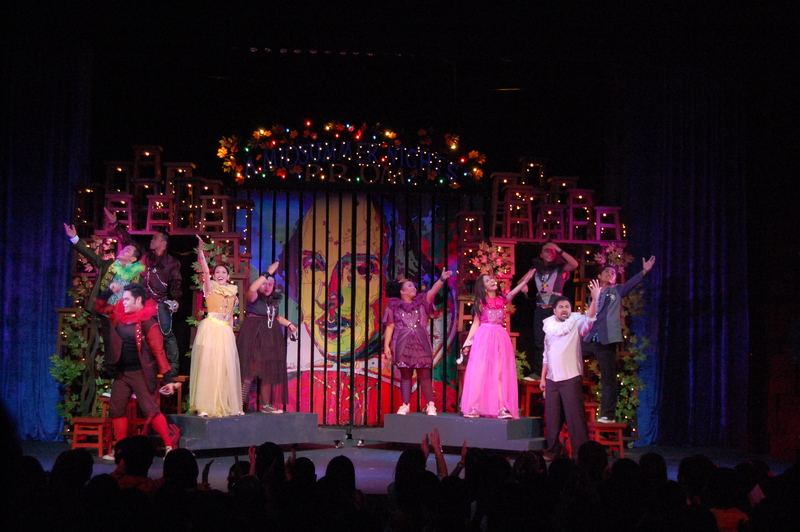 This entry was posted on November 27, 2011 by Portia Placino in Shakespeare, Theatre Review and tagged pedagogical theatre, PETA, Shakespeare, William, William Shakespeare.